In 2009 Superior Tank Co., Inc. (STCI) supplied a stainless steel storage tank used in biogas production. The bolted steel tank has a capacity of 76,000 gallons and is used for storage of corrosive liquids used in biogas generation. The biogas production system is part of an award winning Waste-to-Energy project which converts onion waste into ultra clean electricity. The biogas facility processes up to 300,000 lbs of onion waste daily, enough electricity to power 460 homes, saving the company $700,000 in annual electrical cost. In addition, generating biogas saved the company $400,000 in waste disposal cost. 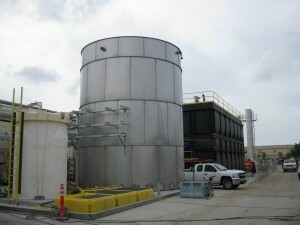 The bolted steel storage tank was manufactured at the STCI Southern California facility using 316 stainless steel. The stainless steel was resistant enough to withstand the corrosive fluid created during the process. All fittings and components were also fabricated of stainless steel to prevent corrosion in the harsh environment associated with biogas production. As the tank was prefabricated offsite, no expensive site welding of the stainless steel was needed. In addition, the storage tank was erected in 1/3 of the time of a welded steel storage tank and did not interfere with current plant operations. Special heavy duty gaskets were used to withstand the harsh environment of the project. 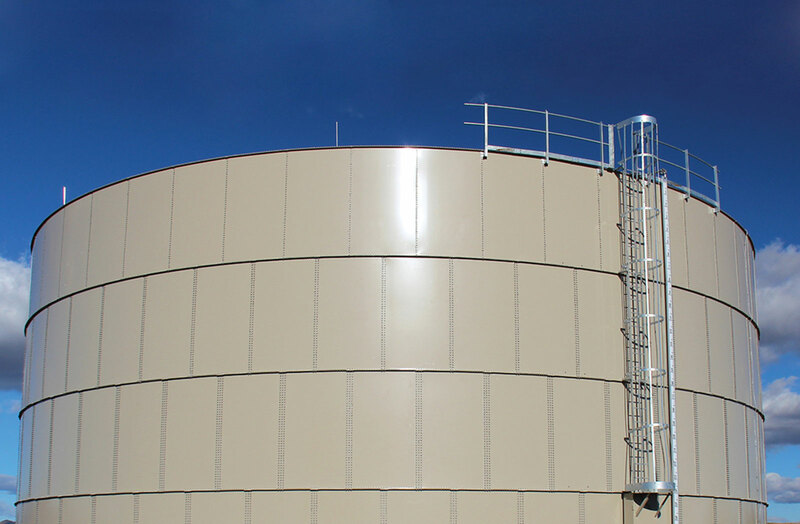 After four years in use with biogas production, the steel storage tank is still performing well and is expected to provide many more years of service.